Historical records describe the Turkish city of Ani as a powerful cultural regional center of kingdoms and empires that ruled for centuries. Today, this magnificent city, once a home to over 200,000, people is abandoned and forgotten. During the 19th century, Ani was quite a popular place, romanticized and admired by its visitors. Its fame faded with the outbreak of World War I and the later Armenian Genocide, leaving the place languishing in a militarized no-man’s land. 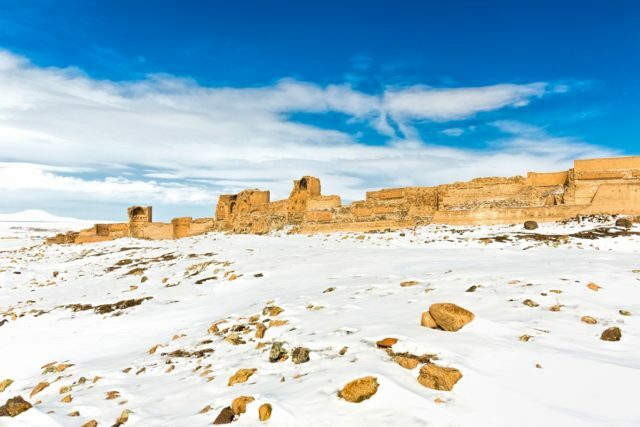 The ruins of Ani have gone through numerous ordeals and mishaps and even restrictions of travel that, fortunately, were eased in the last decade. The territory of Ani is situated in a disputed territory of Kars, a Turkish province near the Armenian border. Originally, the city was Armenian and there is still a strong dispute between modern day Turkey and Armenia in regard to its ownership. This city has survived wars, vandalism, and earthquakes through three centuries and five empires–the Bagratid Armenians, Byzantines, Seljuk Turks, Georgians, and Ottomans. When World War I began, the latter fought to reclaim northeast Anatolia and succeeded in the recapture Ani, but later this region was given to the newly formed Republic of Armenia. The 1920 Turkish War of Independence brought a twist of the events and the Turkish Republic captured it. 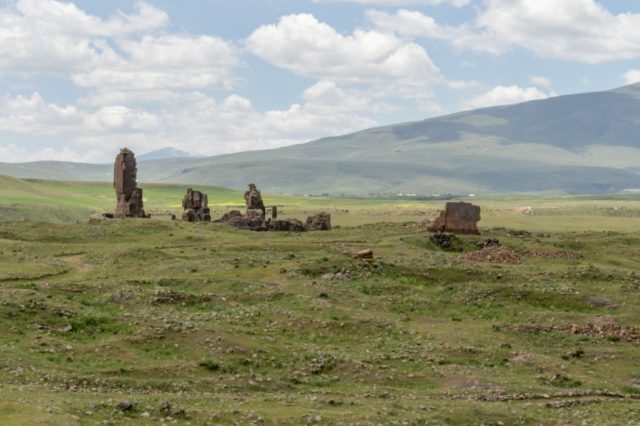 Archeologists and activists try to save the ruins of Ani and raise awareness of its historical importance which would hopefully overwhelm the preoccupation with the Turkish-Armenian tension regarding Ani. Historians have tried to highlight Ani’s importance as a neglected medieval focal point in history, even proposing that the city should be included on the UNESCO World Heritage Site list. Another name for this intriguing place is “The City of 1,001 Churches.” Though ruined, the numerous churches in the city draw in visitors with their mystical appeal. This name is, understandably, a hyperbole but archaeologists have discovered around 40 churches, chapels, and mausoleums. According to some historians, during the 11th century, around 100,000 people lived in this medieval center. One particularly striking sacred structure is the Cathedral of Ani, a building with coral bricks. Two earthquakes since 1319 destroyed its dome and the northwest corner but it has still kept its firm, gracious standing. The Cathedral was erected in 1001–an exclusively prolific period for the city which was under the reign of King Gagik I. Interestingly, its creator, an Armenian architect named Trdat, was also responsible for restoring the dome of Hagia Sophia in today’s Istanbul. 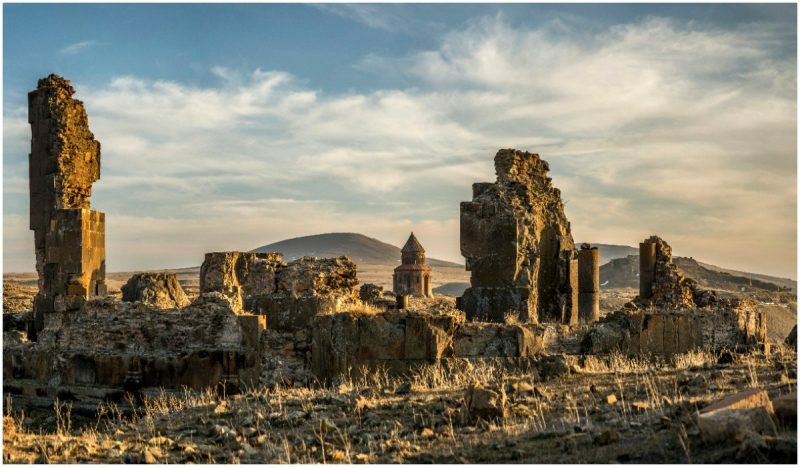 The great witness of the Armenian Bagratid Dynasty’s rule in Ani is the Church of the Redeemer. 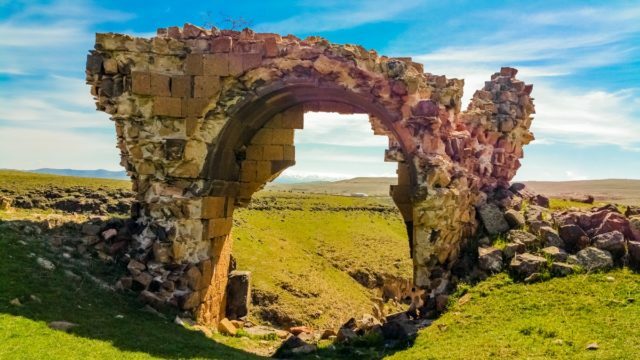 Just one crumbling half remains of this artistic marvel which used to have 19 archways and a dome made of crimson volcanic basalt. Reportedly, when the church’s patron Prince Ablgharib Pahlavid went to visit the Byzantine court at Constantinople, he brought one of this church’s most precious relics, a fragment of the True Cross. 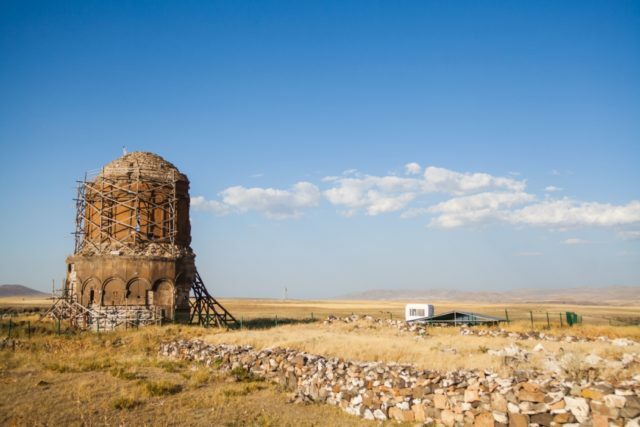 In the 1900s, archeologists discovered a mausoleum which was buried under another of Ani’s churches, the Church of St Gregory of the Abughamrentsis. The mausoleum of this 12-sided chapel contained the remains of Prince Gregory Pahlavuni of the Bagratid Armenians and his family. Close by stands the Church of St Gregory of Tigran Honents, one of the best-preserved remains in the area. The magnificent remnants of frescoes which embellish its walls depict scenes from the life of Christ and St George the Illuminator. Frescoes were not a common feature in Armenian at the time so historians attribute the frescoes’ creators as Georgians. One of the newer buildings in Ani is the Islamic minaret Menüçehr Mosque which is a firm testament to this city’s multicultural influences and religious practices. This oriental symbol represents the reign of the Seljuk Empire, a Turkish territory in Anatolia that later submitted to the Ottoman Empire. The significant interchange of cultures and religions has written and Ani’s historical heritage as a place that, despite its militarized history, has remained a monument of intercultural importance.